As world leaders head to the G20 Summit, the United States is posed to intensify its conflicts with Russia, China, and Europe. 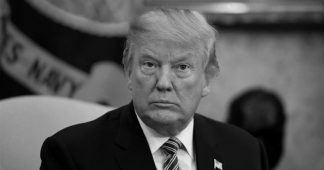 Commenting on the fast-approaching event, the German weekly Spiegel called American President Donald Trump the “terror” of the assembled world leaders. No one, perhaps least of all Trump, knows the outcome of the summit in advance, or which part of the world will be the main target of US threats. 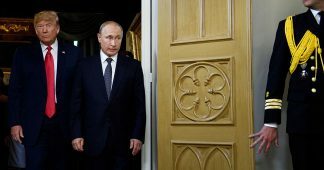 The explosive and unpredictable character of the summit was demonstrated by Trump’s hairpin turn Thursday on a planned meeting with Russian President Vladimir Putin. 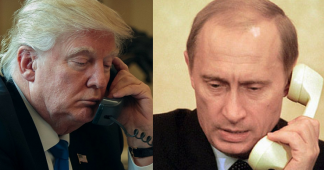 Just an hour later, Trump took to Twitter to declare that he would not meet Putin, allegedly in protest over the Russian coast guard’s seizure of three Ukrainian navy ships after they entered and refused to leave Russian-claimed waters for 12 hours. In the hour between the statements, Trump spoke with Secretary of State Mike Pompeo and John F. Kelly, the White House chief of staff, who were on the plane, and by telephone with national security adviser John Bolton. Figures both inside and outside the White House made clear the connection between Trump’s trip and the latest stage in the investigation by Special Counsel Robert Mueller. Trump lawyer Rudy Giuliani said it “is hardly coincidental” that Mueller “once again” filed charges against Cohen “just as the President is leaving for a meeting with world leaders” at the annual summit. “The Special Counsel did the very same thing as the President was leaving for a world summit in Helsinki,” Giuliani noted. A former Pentagon official under Obama also drew the same connection. “It’s all about the political optics in light of the Trump Tower Moscow news and the fact that Trump simply can’t bring himself to ever confront Putin in public,” he told the Times . 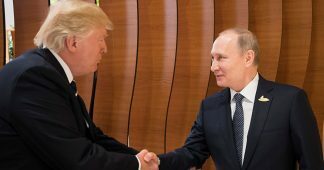 Trump’s last meeting with Putin took place in Helsinki, Finland last summer, just days after special counsel Mueller had indicted 12 Russian intelligence officers related to the unproven charges of “Russian” hacking of the Democratic Party during the 2016 election. 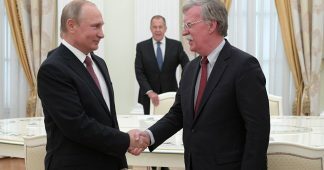 Trump’s refusal to “confront” Putin regarding the bogus accusation was declared by most of the American and European media to be the “low point” of his administration. 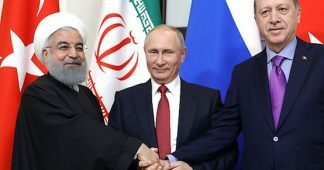 Since then, Trump has substantially intensified the United States’ bellicose actions against Russia, initiating a major new round of sanctions and announcing last month that the United States would leave the Intermediate-Range Nuclear Forces (INF) treaty. There can be little doubt that the acceleration of Mueller’s investigation and Ukraine’s triggering of a crisis in the Azov sea, were closely coordinated with sections of the US political establishment seeking a more confrontational posture by Trump against Russia. Prior to Ukraine’s provocation, Trump’s central focus was to have been trade negotiations with China. The United States is scheduled to massively expand tariffs on Chinese goods, from the current level of ten percent to 25 percent on January 1. The summit will be the first Trump has attended since US Vice President Mike Pence announced a China policy that the American press has dubbed a “new cold war,” in which the United States is actively working to block China’s development in high-value manufacturing as a strategic, and military, priority. Even as Trump was shooting immigrant children with tear gas and rubber bullets, both newspapers ran editorials denouncing alleged Chinese human rights violations against the Uighur population of Western China. Given Trump’s past behavior at international summits, further clashes with the United States’ NATO allies are entirely possible. Trump is scheduled to meet with German Chancellor Angela Merkel, who he will pressure to increase military spending, while threatening the European Union with auto tariffs. No one can predict the exact contours of the G20 Summit, and who Trump will target for military aggression, trade war, threats and intimidation. What is clear, however, is that Trump, while representing a definite faction of the US political establishment, channels the sentiments of the whole spectrum of American politics for an escalation of “great-power competition,” whether against Russia, China, Europe, or all three.